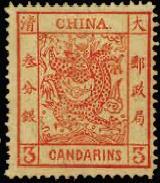 Modern mail service in China is usually said to have begun on May 1, 1878, when the consular mail service of the Imperial Marine Customs Post was opened to the general public. 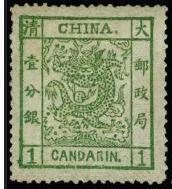 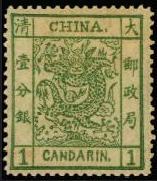 The Post issued China's first postage stamps, a series of three values nicknamed the Large Dragons. 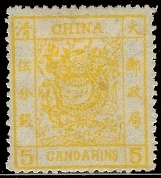 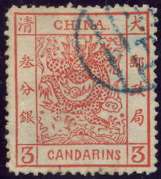 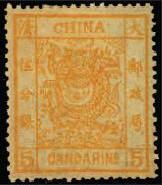 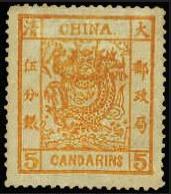 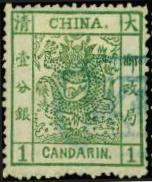 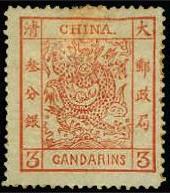 The stamps were denominated in candarins and issued in values of 1, 3, and 5.